Nearly two years have passed since the introduction of Spain’s anti-smoking ban in January 2006 and it looks like some amendments may be on the horizon. 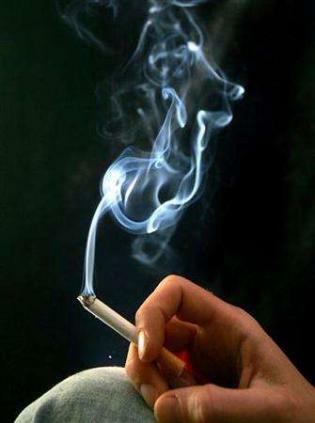 The Ministry of Health in Madrid has announced that it plans to revise the law by the end of the year and in the meantime is considering banning smoking from all establishments, regardless of size. There appears to have been a ‘loop-hole’ to the law since it only applied to restaurants and bars over a certain size. Those restaurants bigger than 100 square metres became non-smoking. But smaller places have been able to carry on as if nothing happened. Now it looks likely that these too will come under the ban, according to Marina Geli of the Health Ministry. Geli revealed the Government’s new thinking on the matter during an interview for TV-3. She said that the idea first came up for discussion in July, when Health Minister Bernat Soria agreed that the situation should be reviewed. Meetings will be held with business associations in the hospitality sector as well as union spokespersons to gauge reaction. However, Geli stated categorically that the original decision had been in error. “It was a mistake to allow owners of smaller bars and restaurants to make the choice between allowing or banning smoking,” Geli said. Here in Tenerife many of the ex-pat bars fall into the smaller size category and have continued to allow smoking inside. A bar owner in The Patch commented, “We stayed as a smoking bar and I can’t tell you how many of our regulars were delighted to hear that. The Government predicts that a decision will be made by the early part of 2008. A bit of background, smoking kills more than 50,000 people each year in Spain (or 16 of every 100 deaths among persons over 35), a figure that is higher than the combined number of fatalities from AIDS, alcohol, and traffic accidents!